We live in an age where technology has penetrated every segment of civilization, from day to day living, governance and health care to the retail industry, the internet has become a core medium for transfer and exchange of information between individuals, groups, and organizations. E-commerce has become the fastest growing trend where traditional retailing is rapidly transforming from brick and mortar stores to online retail stores. Consequently, the eons-old brick and mortar model seems to be gradually shifting but as per recent reports and retail industry trends, the physical retail is here to stay for years to come. Although, in the long run, it might be challenging for physical stores to compete with the e-commerce model and sustain themselves. As we can see, there are several pros and cons to brick and mortar and online store. In the current scenario, 90% of all goods sold still move through brick and mortar stores but the online world is evolving toward new dimensions, changing the world of commerce as we know it. Moving further, we shall see what more can offline retailers do to sustain their business model in the long run. Brick and mortar stores going online might have become a trend but the retailers have to understand the importance of channel integration which can result in higher sales and a stronger brand image. 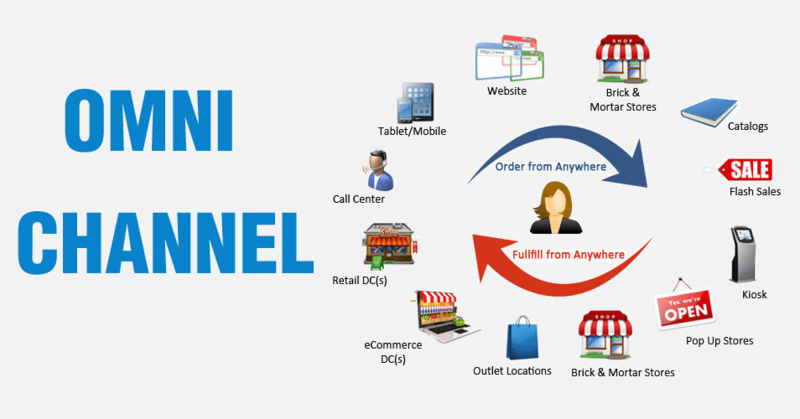 The solution is to adopt an Omni-channel strategy which entails marketing your products through multiple channels where customers can reach your products through physical stores, desktop or mobile website/app and social media channels. Such a strategy is a step forward to mutual sustenance and support between offline and online retail. 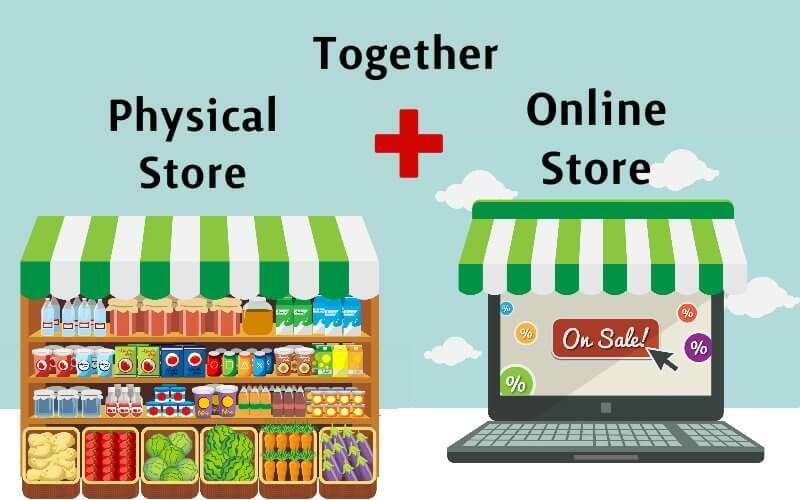 Building upon the above mentioned omnichannel strategy, brick and mortar retailers should develop and setup their own online store in addition to physical retail. Let the consumers know your presence offline and online so that users can buy directly from your platform and you ship the purchased product from in-store inventory to the online buyers. This will surely enhance your brand awareness as the well overall customer base. There are a plenty of third party e-commerce web developers who can help you develop and set up your own online store. E-commerce marketplaces are flourishing worldwide. It’s a great opportunity for brick and mortar stores to partner with these e-commerce giants such as Amazon, Ebay, Alibaba, etc. and adopt their platform in addition to their own physical stores. These eCommerce companies already have huge brand equity, saving you the effort and capital to market yourself. List your brand and products and make sure to achieve higher ratings and favorable reviews by providing quality merchandise and your visibility will enhance leading to increased revenue and bottom line. Investing in technology can not only improve efficiency to a large extent, it also results in cost saving as processes are streamlined, automated and less dependent on manual labor thus, reducing the probability of errors and wastage that can cost a company time and money. For instance, brick and mortar stores adopting digital payment systems and automated inventory management systems tend to enhance the business output and reliability. An efficient customer service and after sales support can make a huge difference in your brand perception and business performance. In fact, one of the competitive edges of e-commerce is their quality customer service & support. As a physical store, try to match and improve the customer service standards comparable to your online counterparts. Strive for 100% satisfaction of all customers ensuring long-term brand loyalty.